The Trump name is famous in America, and Trump himself is a cultural landmark. Now, the hotel has become a literal landmark on the Las Vegas Strip; it's hard to miss the 64 stories of Trump Tower in the Las Vegas skyline. One of the benefits of such a tall building is that it provides guest with an amazing panoramic view of the city and its surrounding mountains. The Tower is part of the hotel, which makes luxury a top priority for guests. Guests stay in one of the 1,232 suites and 50 penthouse suites, all lavishly appointed. One of the most unique traits at Trump Tower is the floor to ceiling windows. Where else will you find windows like that? Location is perhaps a more important factor for potential guests. The hotel was built at a prime location for shopping and more. It is adjacent to the famous Fashion Square mall in Las Vega—a shopper's paradise. Other nearby attractions are some of Las Vegas' best renowned casinos. The hotel's proximity to these casinos means that you won't have wear yourself out traipsing around the Strip. 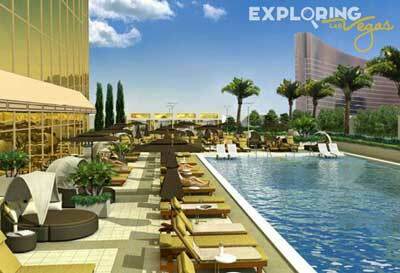 Relaxation, another attraction that draws visitors to the Las Vegas Strip, is part of the luxury that Trump Tower offers its guests. One trip to the spa at the hotel and you won't have to seek relaxation anymore. Indeed, Spa Attaches will work with you to customize your spa visit to make it the best you've had. Some of the signature treatments offered at the spa includes gem-infused oils, which are said to be among the more relaxing oils available. If you want an invigorating workout, the Spa provides the means for you to do that as well. 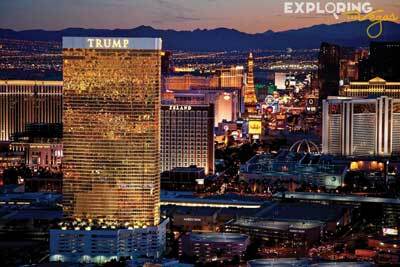 Trump Tower provides you and other guests with everything you need to have a fantastic, fun-filled Las Vegas vacation. Come on down and check it out. 2 Meeting space, Spa, wifi service, Health club, outdoor heated pool (sundeck, bar, private cabanas), full service business center. Sofa bed, 32 inch flat panel HDTV, 3 lines telephone, wireless internet, in-suite chef available, minibar, premium shower, cable w/ PPV, appliances, kitchen. DJT (modern American cuisine, bar, private dining for 12), H2 (poolside atmosphere, casual american with full bar), 24-hour in-suite dining.